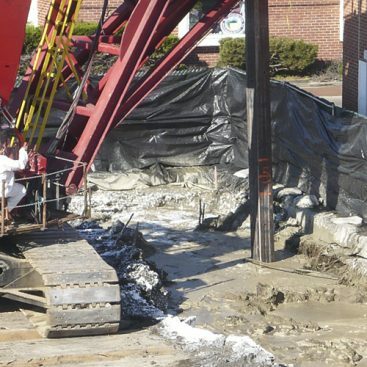 Soil mixing with augers can be used to construct excavation support systems that require no conventional excavation support components, e.g. 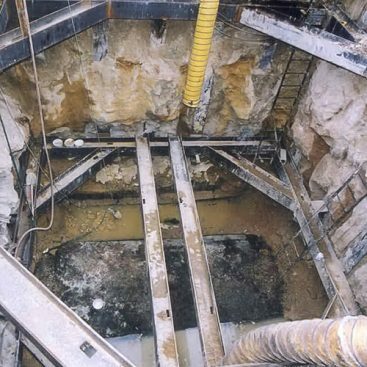 “gravity” block systems, or to improve upon existing excavation support systems by removing or reducing any necessary metal (steel) reinforcement. 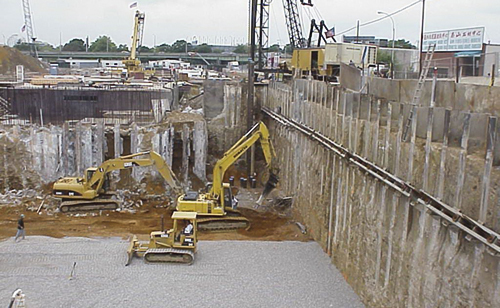 For these applications, overlapping columns of strengthened material are constructed using soil mixing. The strengthened material generally consists of a mixture of cement and the native soils, but other additives may be used for enhanced performance. 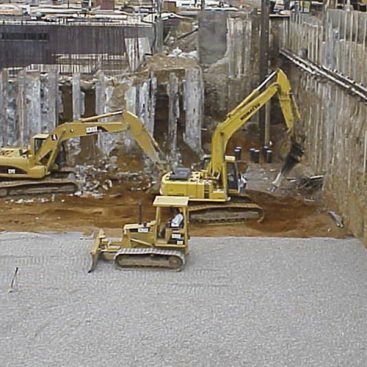 In this application, the overlapping columns can be used to replace wood or metal lagging in a soldier pile and lagging wall or for the construction of gravity retaining structures (read this technical paper for more information) that require no steel or metal reinforcement. 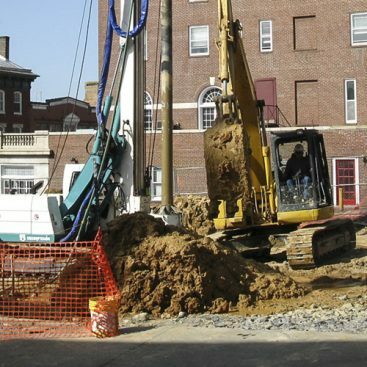 Soil mixing can also be used for underpinning or structural support to improve bearing capacity for new buildings or reduce movement of nearby existing structures. In this application, soil mixing can be used with or without steel (or other metal) reinforcement. 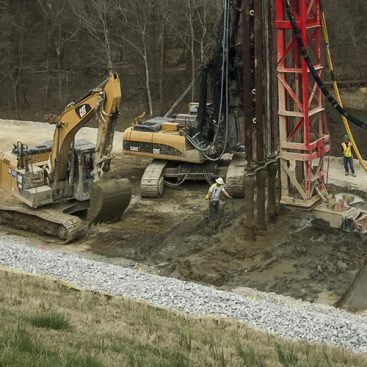 Although the use of soil mixing in this application has already expanded in the last decade, Geo-Solutions expects that the use of soil mixing for excavation and/or structural support to expand further due to the passage of steel and aluminum tariffs.